There are so many money lenders in Singapore. But are you able to tell the difference between licensed and unlicensed money lenders? 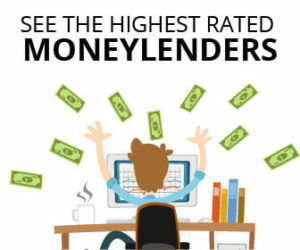 Furthermore, there are so many licensed money lenders, how do you know which are better than the rest? Like in every business, there will definitely be black sheeps in the industry. Quick Credit is first and foremost the most trusted money lender in the industry. Boasting a long history of customer satisfaction, since 2002. Quick Credit has been tirelessly serving our most in need clients, for that financial crisis that you just can’t avoid. Offering a variety of loan products, from payday loans to personal loans and foreigner loans, come talk to us. Quick Credit is sure to lend you a helping hand and a listening ear, whenever you need it. In addition, they are also one of the licensed moneylender open on weekends. For any inquiries, you can contact Quick Credit at +65 68996188, or you can drop them an email at enquiry@quickcredit.com.sg. Their office is located at 2 Jurong East Street 21 #04-01A IMM Building, Singapore 609601. Open every day of the week, Quick Credit is a Money lender open on Sundays. Best Credit SG Pte Ltd, formerly known as Cing Dien Credit was establised in 1985. Thus, Best Credit SG Pte Ltd is one of the oldest licensed money lender approved by Registrar of Moneylenders (IPTO) in Singapore. They have more than 30 years of experience in this industry. Best Credit SG Pte Ltd specialises in providing loans to Singapore Citizens, Permanent Residents and even Foreigners who are working in Singapore. Due to their experience in the money lender industry, they are able to approve the loan in a very short time. They have and are still constantly working hard to ensure that they meet all customer expectations. Best Credit SG Pte Ltd have helped many people to get access to money fast, freeing themselves from the hassle of going through a bank. Have a question for Best Credit SG Pte Ltd? Call them at +65 6272 5538. You may also drop by their office at Blk 372 Bukit Batok Street 31 #01-374 (Level 2) Singapore 650372 to request for a loan. 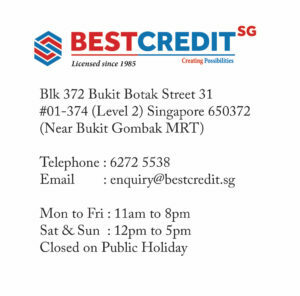 Except for public holidays, Best Credit SG Pte Ltd is open everyday! 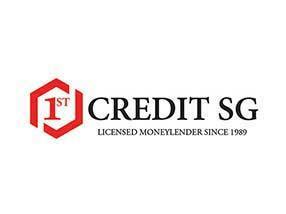 1st Credit SG, formerly known as Ariksha Moneylender is another great legal money lender in Singapore. They have been operation since 1990. This means that they have been in the money lending industry for 27 years! With so many years of experience on hand, their higher management has trained a capable team of people to continue providing cash services to the public. 1st Credit SG, formerly known as Ariksha Moneylender has build up a strong reputation for themselves. As such, they constantly receive referrals from their existing clients. Their existing clients are willing to introduce their friends over because they know that 1st Credit SG is a reliable moneylender in Singapore. 1st Credit SG is also another money lender open on weekends! 1st LG Credit is another money lender that we highly recommend. As an experienced and professional money lender that has been in business for a very long time, you can expect 1st LG Credit to offer you nothing but the best. Now, as a money lender that has is very steeped in tradition, they have been license by the Ministry of Law since 1991. As you can tell, all the reviews and ratings that you read about 1st LG Credit points to it being one of the best moneylenders in Singapore. This approval is unanimous throughout all borrowers. You will read reviews about how the professional staffers here are hospitable and friendly. Also, you will read about how they offer you the best terms of loans. 1st LG Credit works hard to provide customers with a positive experience, and you can tell it really shows how their hard work has been paying off! For more information, visit their office at 304 Orchard Road #02-29 Lucky Plaza Singapore 238863. Very easy to get to, 1st LG Credit is a licensed money lender in Orchard Road, beautiful town of Singapore. Doors are open from Monday to Friday 11AM – 8PM and Saturday to Sunday 12PM to 5PM. Singapura Finance Ltd is founded in 1950. Their brand is built on the characteristics of ‘optimism, inspiration and confidence’. Singapura Finance Ltd understand the needs of people and package deals to suit them. They also continue to engage their customers’ needs in making every dream into a reality. Their relationship managers are always ready to help you make the best financial decision to achieve the lifestyle of your dreams. In order to do that, they have a wide range of products to cover all the needs. For a list of their offices and branches, please view the list here. If you have any loan related enquiry, you can contact them at +65 6880 0688. At Credit Review, we aim to be one of the best money lender review sites in Singapore. We will be constantly updating our best moneylender list. If you have different opinions from us, please let us know and we will review our list again. If you are looking to take a loan from licensed moneylender, have a look through our list of money lender and see if there is anything suitable for you. We do not have the full list yet but we are working hard to update it. Are you a licensed moneylender in Singapore? Don’t see your company being listed in our list? Please drop us a message and we will work hard to ensure that you’re added to our list!